**NEW - JUNE 2017** DONIC BLUESTORM - A storm brews ! 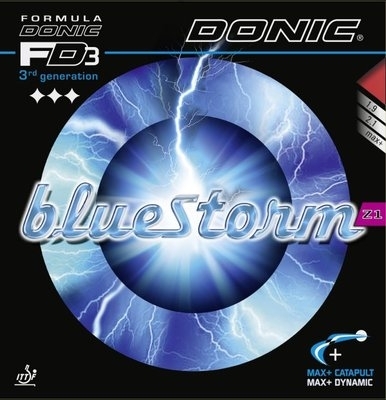 Z1 with its medium pored sponge and a short, wide pimple structure is the hardest and fastest of the three Bluestorm versions. Recommended for all out attacking players.